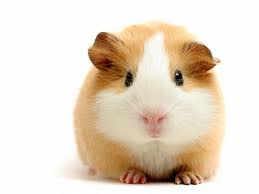 What have you and your pet Guinea Pig got in common? Answer: humans, guinea pigs, apes and some fruit bats are the only mammals that do not make their own Vitamin C, so we have to eat lots of the right foods to enjoy its benefits. Let’s face it, though, Vitamin C seems a bit “old hat” nowadays. Open any health magazine and there is likely to be some superstar nutrient boasting umpteen times greater antioxidant power than our faithful friend. (Antioxidants = “good guys” which fight the “bad guy” cell-damaging free radicals.) It is therefore easy to get seduced into thinking that perhaps Vitamin C is a little redundant, but nothing could be further from the truth ……………..
Vitamin C deficiency was big in our ancestors’ days, and scurvy was commonplace especially on long sea voyages, when many a ship lost a large proportion of its crew to the disease. In 1747 a Scottish Naval Surgeon, James Lind experimented with fresh fruit and veg to keep scurvy at bay, with good results. Despite this, however, it took the British Navy until 1804 to make it mandatory for each sailor to be allotted limes – hence the name “limies” given to British sailors. Roll on to the 1930s when the Hungarian scientist Albert Szent-Gyorgi isolated and identified Vitamin C and named it Ascorbic Acid, which literally means “no scurvy” (“scorbutus” is the Latin name for scurvy). For this he received the Nobel Prize in 1937. First of all we don’t want scurvy, but what exactly is this? Well, Vitamin C is vital for making collagen, the “glue” which holds a lot of our tissues together, including the artery walls. Without this, thousands of tiny lesions can break out and cause havoc. Scurvy is best known for bleeding gums and as a result teeth falling out, but a lime-deficient sailor of the 18th century would have suffered internal bleeding too as his blood vessels literally liquidised. Not a happy way to die. Today we vilify cholesterol as a major cause of heart disease, but truth be told, it’s the equivalent of blaming an ambulance for the accident at which it is helping. Cholesterol is simply Nature’s Band-Aid and is used to patch up weakened artery walls caused by Vitamin C (and other) deficiency. So bottom line is – if you want a healthy heart – get yourself a load of Vitamin C.
Vitamin C is a potent Antioxidant (as said above), it aids in the healing of wounds and plays a big part in maintaining a healthy immune system. Unfortunately Vitamin C and glucose share the same receptor site on cell membranes (receptor sites are effectively the channels through which something passes into a cell). This is a problem because the glucose takes priority. D’oh!! A bit of a design flaw but I’m guessing when the blueprint for receptor sites was finalised, there weren’t too many Mars bars growing on trees. J So next time you are fighting an infection, such as a pesky cold, resist the sugary snacks and dose up on Vitamin C. Vitamin C will have a fighting chance of actually getting into cells and thus help to boost your immune defences. Better still, keep good levels of Vitamin C in your body at all times. Unfortunately Vitamin C is a sensitive creature, so although fruit and vegetables contain a lot, sinking your teeth into an orange doesn’t guarantee you a boost of this lovely nutrient. A lot of produce is picked well before its full nutrient content can be realised; storage and travel time deplete it further; and cooking pretty much destroys what’s left. Fresh, organic and raw is the best way to ensure maximum levels. If you do cook vegetables, then steam for a short time only so that they are hot but still crunchy. Supplements are a good idea to boost levels. Choose a good quality supplement; one which contains bioflavonoids, so that the body recognises what to do with it. Spreading your intake throughout the day is a good way of maintaining a consistently good level in the body. If you are a stressed bunny, then it’s a good idea to up your Vitamin C, as it’s gobbled up by your body whilst busy making stress hormones.